Discover Copenhagen on two wheels and have your photo taken by the city’s best-known sights on this private, 3-hour bike tour. 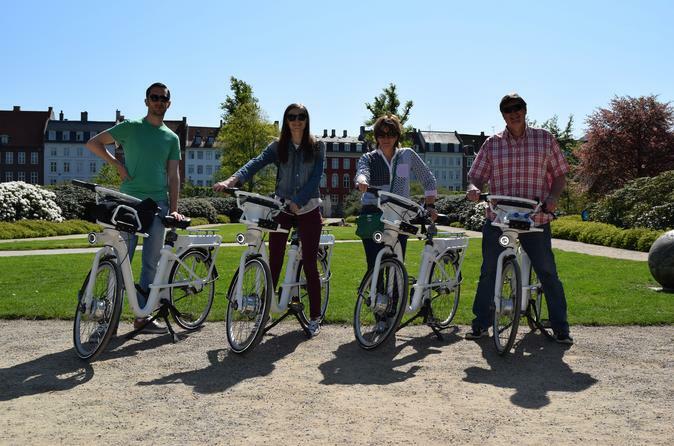 With a photographer as your guide, you’ll cycle around the city’s bike-friendly streets on an electric bike. Check off top tourist draws like the Little Mermaid, colorful Nyhavn and the Round Tower, and stop at Glass Market (Torvehallerne) to learn about Danish cuisine. Along the way, let your guide snap photos of you as souvenirs of your trip, and learn more about the city’s long history.